A spokesman for the president said that the parties had until the end of the year to fix the price of gasTurkmenistan supplied to Russia. He said that Gazprom and its Turkmen counterparts had already agreed in principle that Russia should pay a similar price to Europe. 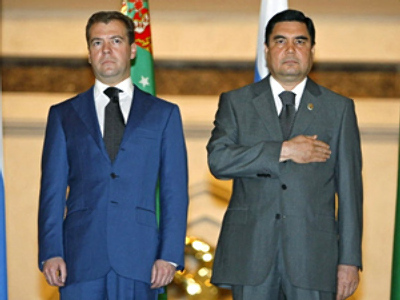 Turkmenistan's President, in turn, confirmed that his country will honour the commitments it has made on natural gas supplies to Russia up to 2025. Overall five agreements were signed focusing on cooperation in energy, science and education.